Today I have for you a recipe that has been requested for me to make by a few of my readers. The request was for a Starbucks Green Tea Frappuccino, low-calorie!!! With much researching, I think I finally came up with the recipe for you!!! I’ll be honest with you, I have only ordered this drink once, and I liked it! The only issue was, when I went home, I found out it had 280 calories for a grande and I almost fell over! That is just crazy!! I like to have my frozen drinks, but I don’t like to drink my calories away!! To make this drink I had to search high and low for green tea powder, otherwise known as matcha powder. I searched the Asian grocery store but everything was in Chinese and I hadn’t a clue what was what. So I did the next best thing, I searched on Amazon. I found several green tea powders, but I didn’t know what one to get. The price range goes from $5.00 all the way to $80.00. Sorry, I am not paying $80.00 for green tea. I read reviews and opted for a cheaper powder. I figured I’ll be adding other things into it, so I’m not to concerned, as long as I can taste the green tea. Now if you know me I have no patience to wait for Amazon to ship my tea. 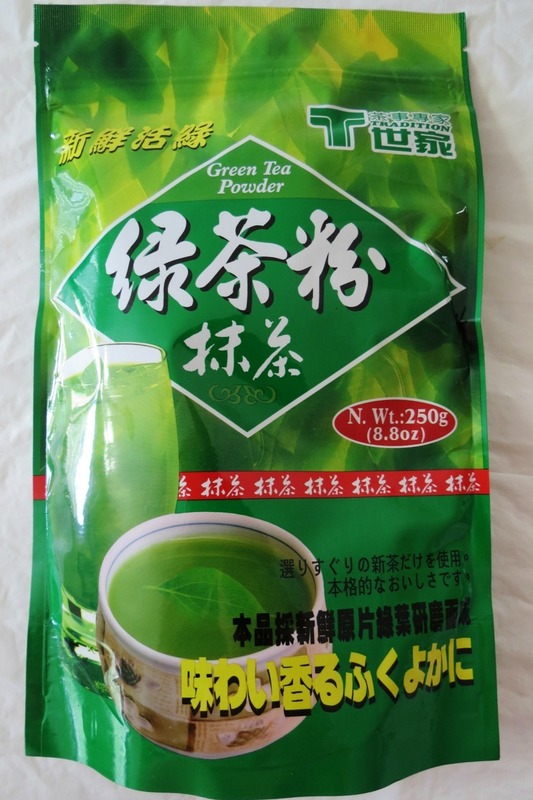 So I printed a picture from Amazon and headed back to the Asian grocery store and sure enough I found the exact green tea powder for $5.99. Sold!!! You have to check out your local Asian stores, their cheaper and kind of fun to walk around in, as long as you can handle the fish smell. At work, whenever my co-worker comes into the office, we go to Starbucks at 10:00am for our coffee date! It’s a ritual! I always get a Venti ice coffee with sugar-free vanilla and non-fat milk. My Friend always gets what he calls his fun drink, which is a Green Tea Ice Latte with 7 scoops of matcha and 6 pumps of sweetener. So when I made this drink I thought of him. Some how I highly doubt he would make this drink at home. When I was researching this drink I found out that Starbucks uses a melon syrup to sweeten the drink. I searched everywhere for melon juice. I don’t think they make one? So I decided to use about a half cup of fresh honeydew melon. That was perfect!! Since the green tea powder is pretty strong in flavor I only needed to use 1/4 tsp. I know it doesn’t sound like much, but trust me, it’s strong. I also used a pinch of vanilla extract, one packet of stevia, one cup non-fat milk and I either used 6 or 8 ice cubes. 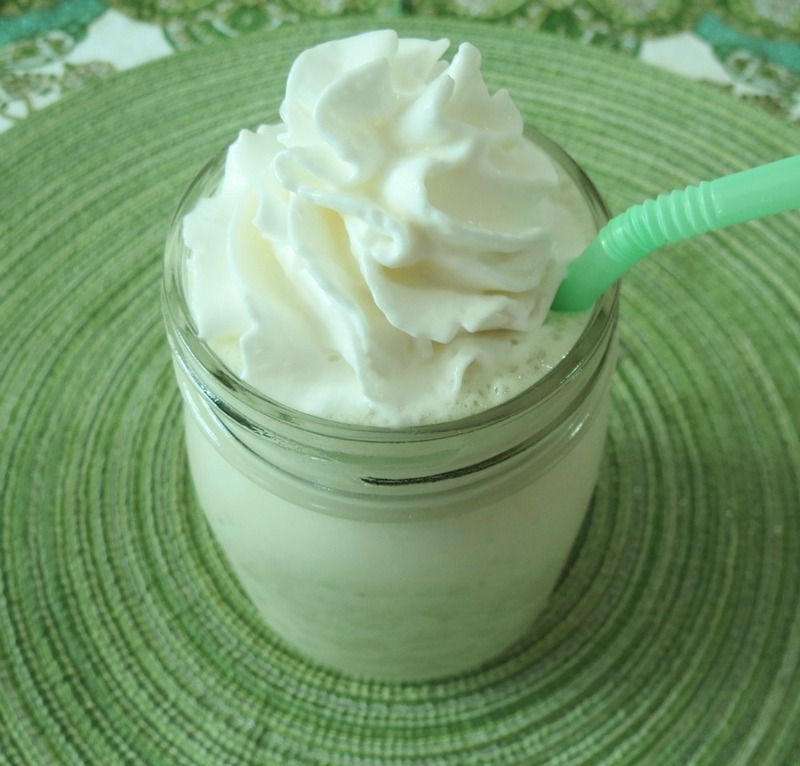 This drink is pretty quick and easy to make. 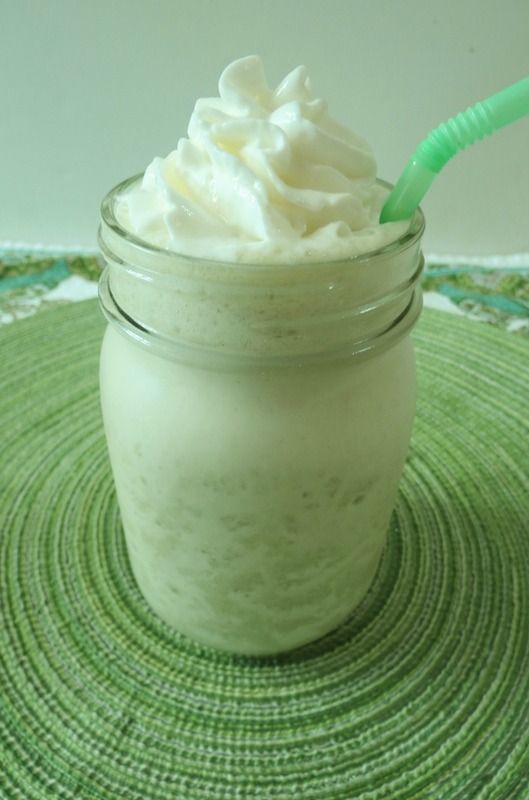 I am betting coconut milk or a frozen banana added to this would taste fantastic!! 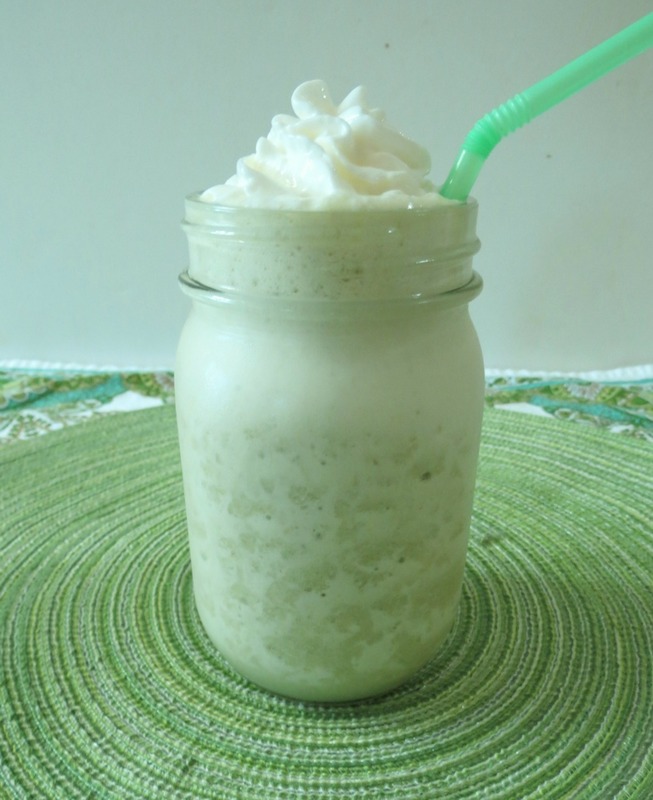 The best way to describe this drink is refreshing and light! I think I like my drink better than Starbucks. Mine tasted more natural, almost more smoothie like, then a Frappuccino. My recipe makes just shy of 3 cups. If you like green tea and a cucumber / melon taste, then this is the drink for you!! This turned out so much better than I thought it would. I am very pleased!!! You know I have to so my Starbucks Comparisson. Ha Ha!! I love it!! Look at the Carbs and Sugar! Holy crappers theirs is high!!! Mine is natural sugar that comes from the milk and melon, no additional sugar!! A refreshing blend of sweetened green tea, fresh honeydew melon, milk and ice. Now don’t get me wrong I love Starbucks, after all I’m a gold card member, but some of their drinks are so high in calories and I don’t get why? I have so much fun creating these drinks for you. What drink would you like me to conquer next? Speaking of Starbucks, today I met my first Foodie Friend Marlene from Nosh My Way at our local Starbucks. I met Marlene on the Foodbuzz/Daily Buzz Facebook page. Her and I will be going to the Foodbuzz event together next month! It’s so nice to meet someone so nice and has the same things in common with me. I can’t wait till the festival. Are you going to the event in October? One last thing about my drink. I did touch up the photos to make them more green. The lighting wasn’t very good and the drink was green but the pictures made it more white. If you like there Green Tea Frappe, I really think you will like my drink. I plan on making this again with the addition of a banana. Yummy! Have a great weekend! I’m off to my food photography class today!! Yah! P.S. I dissected another Starbucks recipe and I am hoping it turns out so I can share it with you! I plan on making it this weekend!!! Crossing fingers my calculations come out right! I have never tried the green tea from Starbucks, but when I get my xanthen gum, it will on my list of things to make. Again, is was great to meet you. We can def do lunch over by your office. Just let me know. It was great to meet you too!!! Yes, lets definitely do lunch sometime!! You go, girl! This looks scrumptious…more like dessert than a morning pick me up 🙂 Love how you reduced the sugar and calories and still made it taste fabulous! 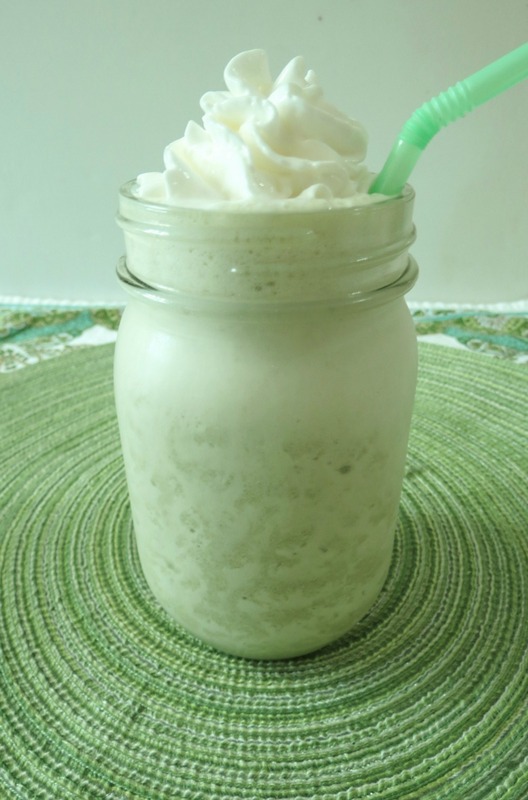 You are the queen of frappes…what a fabulous drink! I’ve always wondered how I could make my own at home. I am going to try this drink this week and am so psyched! Hey there, thanks so much for this post. I lived the GT frap from Starbucks the 1st time I had it, Then when I saw the calories, I really repented drinking it…so I found the same Green Tea Powder in your pic, but I am a rookie with calculating the calories and my bag says each serving of Green Tea has 376 k??? How does this work? Also, how would it change if I add the banana? Thanks for ur help! Yes it is 376 calories per 100 grams, this recipe only took 1 gram per serving. A 100 grams of the powder is a lot since it’s so light. I measured it out when I made the drink. If you added a whole banana your looking at about 100 calories more. Hope this helps. What green tea powder did you use? Excellent flavor. I tried today and I love it. My favorite…well, until I try the next one…. So glad you liked it! It’s different then what I normally drink but I love the flavor, very refreshing! Thank you! I’ll have to look it up! I bet the syrup is really good.